JJ: Everyone is on high energy today. Will today be good? Of course! JJ: I lost about 16 kgs in 60 days. 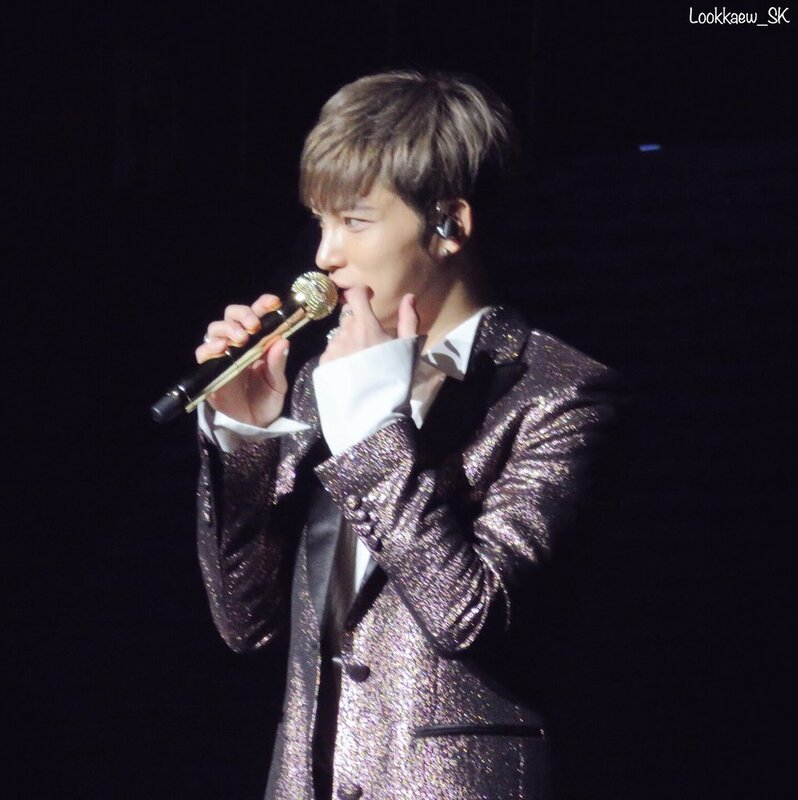 JJ: it's not embarrassing to wear sparkly costumes because a lot of fans today are wearing flashy clothes as well. JJ: about 430 pm, people went to the toilet. I also did. It's refreshing. Did you wash your hands? JJ: I really got good info before the show today. "Metcha Ikemen" very handsome. I only listen to good feedback. 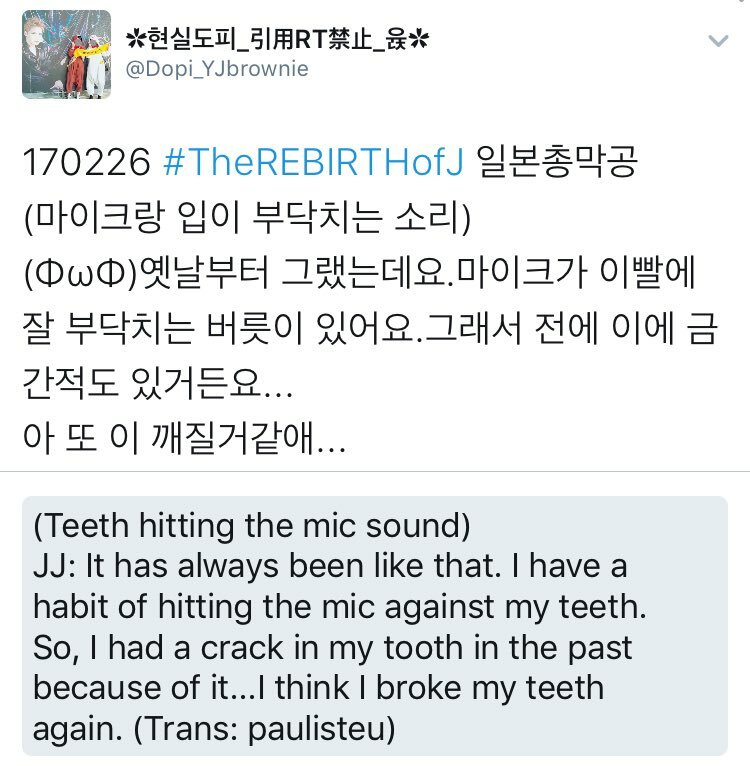 JJ: Day befor yesterday, i felt something is itchy on my face. Seems like an acne appeared in the middle of the night. Can you see it? No? JJ: I think if you drink 3-4 cups of whiskey before a live, the body condition will be better. I didnt drink yesterday. 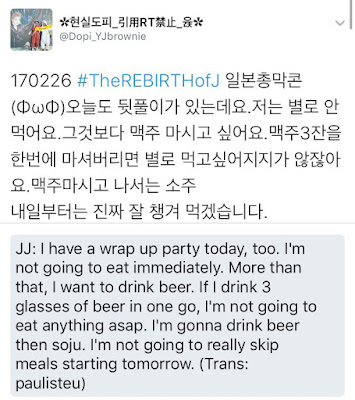 JJ: But today is the last day so I get drunk for everyone. JJ: When everyone jumps, the equipment at the venue shakes. So please jump. Let's break the con venue. JJ: next song. 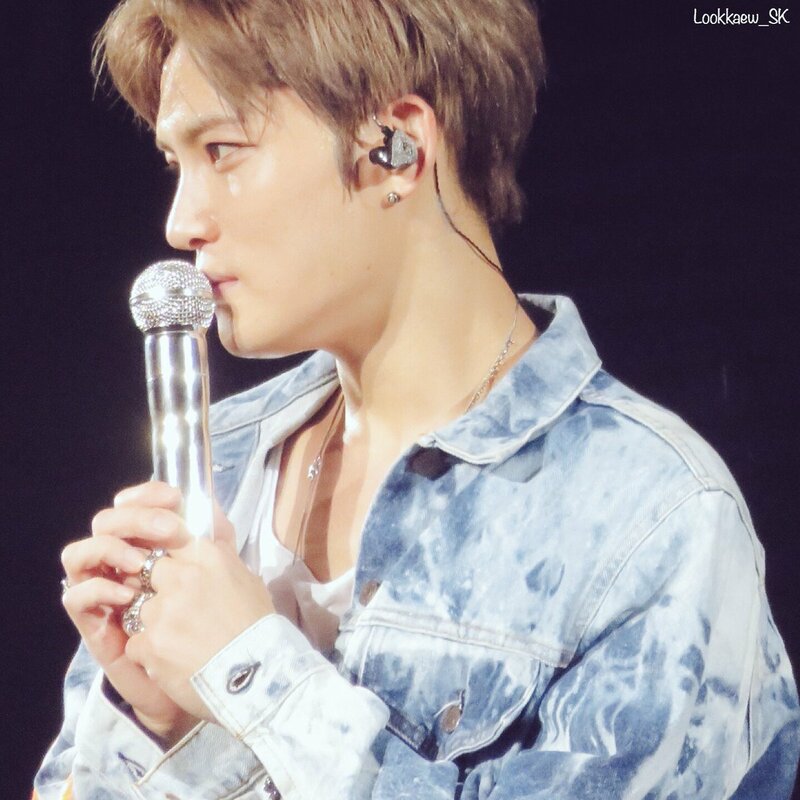 Fans: ehh~ JJ: huh? No? A bit longer? 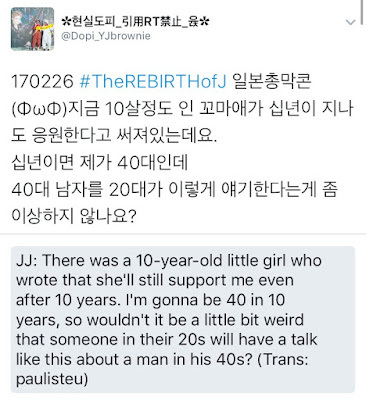 Fans: a bit more (they want JJ to talk) JJ: but there are still a lot (of parts)left! JJ: it's impt to make people laugh but I have to go the next song. it will be interesting if I can talk for 30 mins. Yes, next 2 songs. JJ: My friends say that even Japanese musicians do not have ments as long as this. 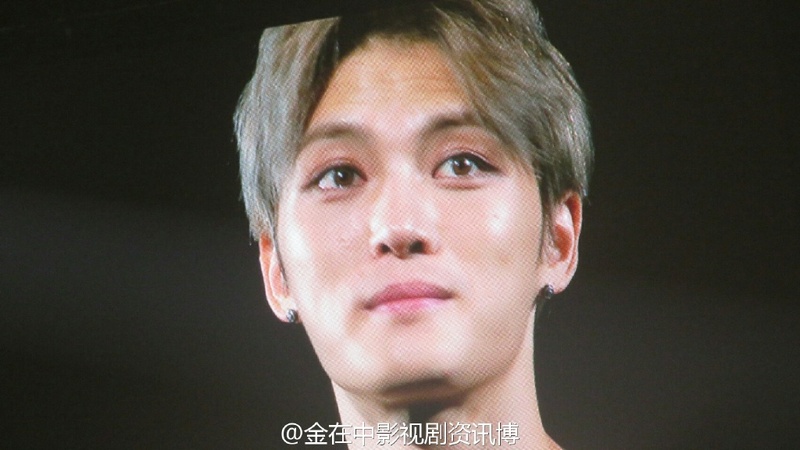 JJ: My dream is to live happily everyday and forever with everyone. JJ: somehow I feel lonely today and I feel weird. I've been so happy to be able to come so many times. I feel like we can meet again. VTR: I was a bit scared cos it's been a long time and I don't know what to do if you will not come to the Lives but I'm glad so many came. JJ is singing while sitting on stage. JJ: tired. Pls give me time to rest a little. JJ: Am I rehearsing before the Live? it is not fun to rehearse "good morning night" alone. It's fun to do it with everyone. JJ: I am ok to do it 1 more time but it might be hard for the band. (Drum roll?) 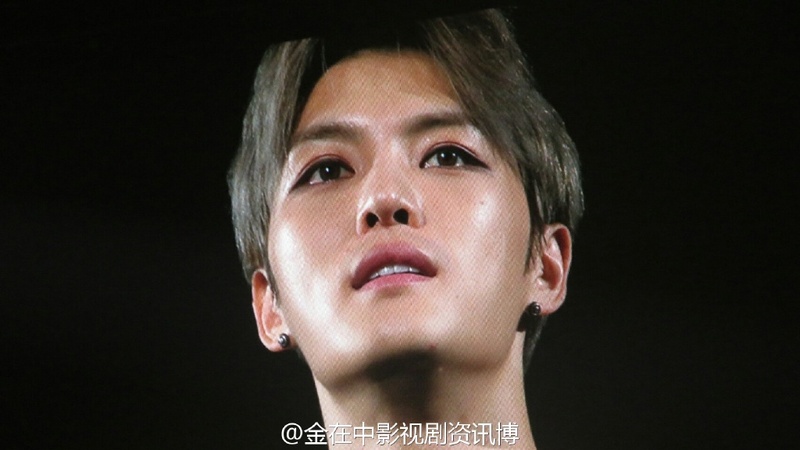 Band seems ok.
JJ: I caught a cold so I have a runny nose. 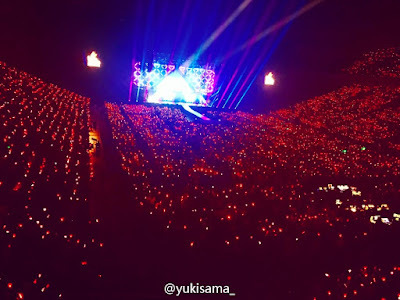 JJ: (the shout for encore) seems a bit louder than usual. I had goosebumps backstage when I heard it. JJ: People usually eat delicious food when the Live is over, right? I only ate salad yesterday cos of the Live today. 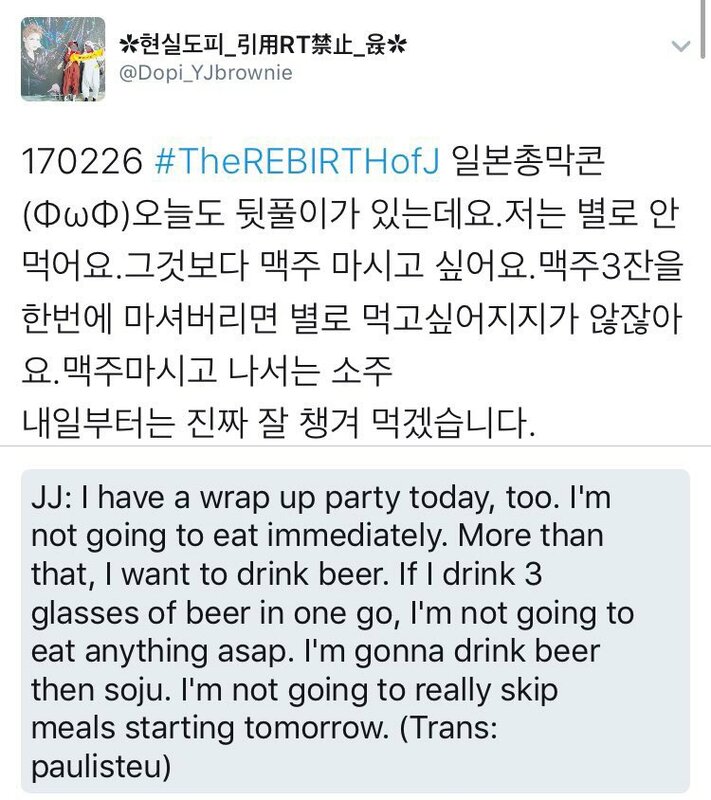 JJ: if you eat alot, you can't drink. I will eat a lot starting tomorrow. JJ: Fans from the start will understand, but for new fans may think that this live is really done by a foreigner?! I'm trying my best. JJ: Sarangheyo. I'm a bit shy to say it in Japanese. 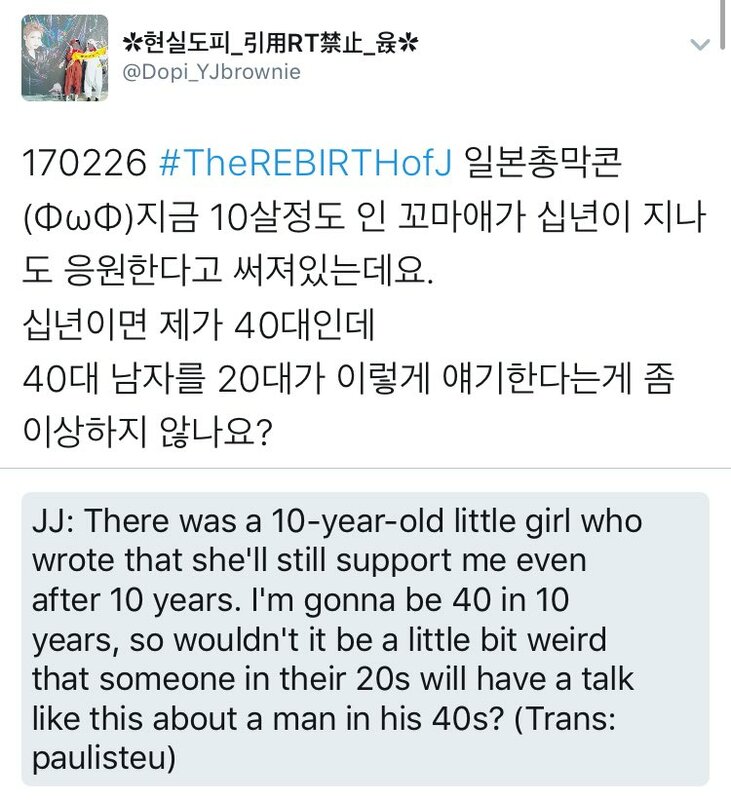 JJ: it's hard. Really. I want to say 100% of my feelings, from my heart, but there are things I can't say. JJ: I think there are lots of things to understand even without saying. 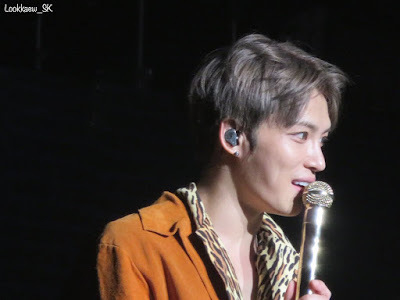 JJ shouted without mic: thank you! everyone! Let's make a promise. See you again! Start: 17:04. End: 20:53. Saitama D2 was 3 hours and 49 mins! JJ: I want to work in JP next year or after 2 yrs. I want to stay for a day w/ everyone who got picked via lottery & in up to 5 areas in JP. Jaejoong: My heart softens when I hear you guys "eh~" me. So take advantage of this. Understand? Jaejoong: Masaharu Fukuyama is really handsome, and I want to be someone like him. And I am who I am, I have my own characteristics. 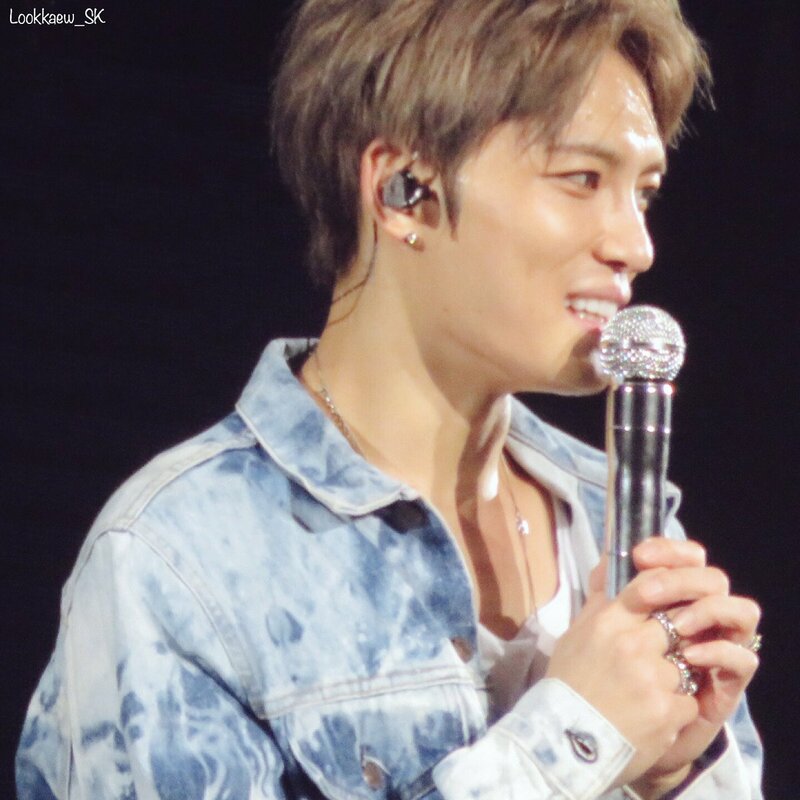 Jaejoong: You might think it's bad, but I used to drink 3-4 cups of whiskey a night before concert, so that I can be hyped next day. Jaejoong: The day before yesterday, there was a pimple on my face. There was even blood! Probably even 10cm of makeup cannot cover it. During dress code segment, Jaejoong sang a bit of Colours (Melody & Harmony). Fan asked Jaejoong to do a kiss and he did a flying kiss. Jaejoong: I'm not good at this now. I feel embarrassed. / But he suddenly went close to the camera and kissed. 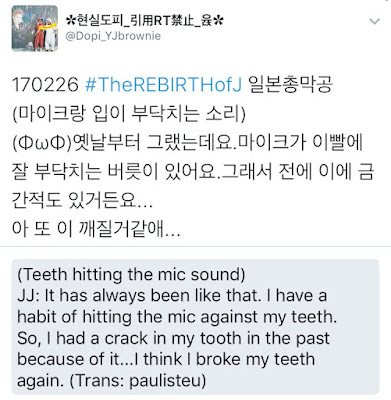 Jaejoong: "It's better if I do it properly"
Fans asked for one more time. 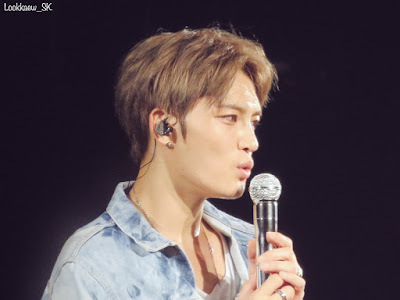 Jaejoong got the codi to apply lipstick/lipbalm and he kissed again. Jaejoong said he ate subway's salad after concert yesterday, to maintain his figure. 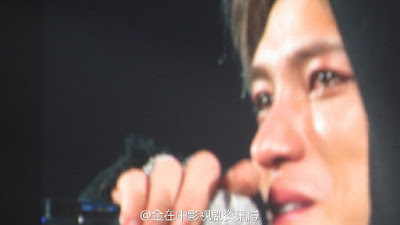 After Jaejoong cried and left, fans continued to shout for him. 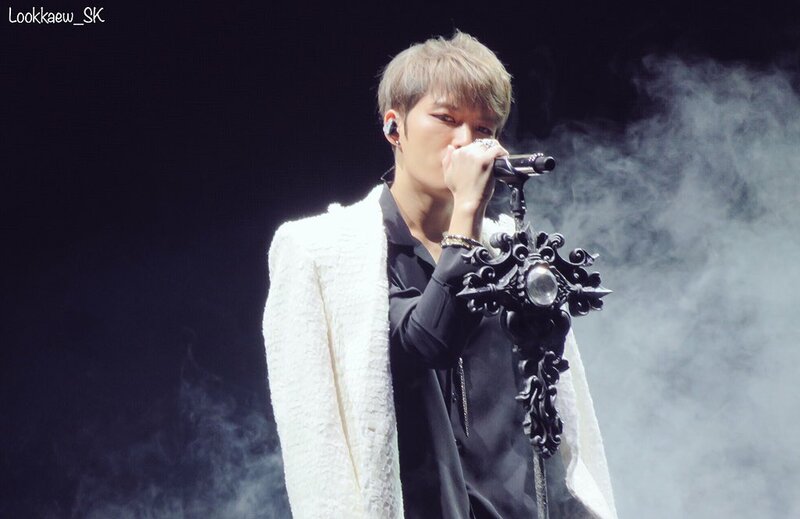 JJ returned to stage despite removed his mic. Vid credits to ichikinosama. Jaejoong: Many people came today. I'm really happy yet lonely but I'm more happy! I know we will meet again. My prediction won't be wrong. JJ: While it contains lots of hardships, to me, memories from 13 years ago are those that I did not forget & will not forget. 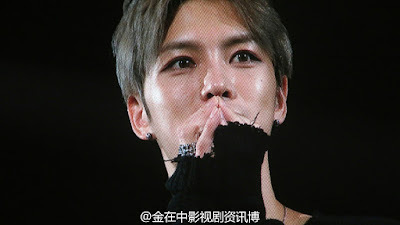 Jaejoong: In the past few years, there were many painful memories and unhappy events. But we will overcome and our happiness will arrive. A fan's board "Oppa you are more beautiful than girls"
JJ: I have a runny nose in front of ppl I like. It comes out like a water. I caugh a cold and not feeling good. I think I have an allergy?